Will We See Inflation or Deflation in a Level 2/3 Scenario? In an EOTWAWKI (Level 2/3) situation, money will become of little value or use. In the economic and real world as a whole, there are many factors that all contribute to the overall rate of inflation or deflation. Fortunately, most of these different factors act in a manner that is easy to understand, and each factor can be either inflationary or deflationary. For the purpose of understanding inflation, we can say that the price of things in general go up or down (ie inflate or deflate) based primarily on two simple factors. The other issues that also influence inflation are not as directly impactful as these two primary factors. The first factor is the supply of the thing. The second factor is the amount of money available to buy the thing. Let’s explain that with two simple examples. First, to explain the impact of the availability of the thing. Let’s take a current example. Cherries. At the time of writing, we are in the peak of the cherry season – a short-lived season that only spans a few weeks in each region. If you go to a local market today, you’ll find cherries on sale, perhaps for $2 – $3/pound (as is the case locally in our area). Last week, they were $4/pound, and the week before, they were $5/pound. Probably next week, the price will be up to $4/pound again, and the week after, the price will be $5/pound. Now, those cherries cost exactly the same to the farmer. If anything, the cherries in the peak of the season are the most expensive to the farmer, because he has to get in extra labor which is less skilled and unproductive, perhaps pay overtime, perhaps hire extra equipment and machinery. The main reason that the cherries start off high, then drop in price, then increase again is due to the quantity of cherries available. The more that are available, the lower the price of each one. Increasing the quantity of a thing is deflationary, decreasing the quantity is inflationary. This is even more pronounced of course with a perishable product such as fruit, but even things that can be stored for a long time prior to being sold are subject to the same effects. So of course the same applies to other non-perishable things like motor cars and computers, but in these cases, there are other factors that we’ve chosen to ignore that have also created to the reduction in cost linked with the increasing supply of the products. These are things like reducing costs to produce the goods due to increased automation and other economies of scale. So, the more of a thing there is, the less each of them is worth. The fewer of a thing there is, the more each of them is worth. The other factor is sort of hinted at by the first factor, when you think about it. One way of looking at the situation in the first example is that if a farmer has one pound of cherries to sell, and if you have $10 to spend on cherries, then he can sell his pound to you for $10. But if he has five pounds of cherries, he might still sell them to you, but at $2/lb rather than at $10/lb. Now let’s switch our focus from the quantity of cherries to the quantity of money. What happens if the farmer always has only 10 lbs of cherries to sell. If you have $20 in your pocket to spend on cherries, you’ll buy his cherries for $20, right? But if you have $30 in your pocket to spend on cherries, you’ll be willing to give him $30. And if you only had $10, you’d only be able to give him $10 for his 10 lbs of cherries. Let’s consider a real world example. As we explain in this article, after World War 1 Germany found itself crippled with ‘repatriations’ – debts imposed on it by the victorious allies, forcing Germany to reimburse them for their costs of going to war with Germany. So what did Germany do? It ‘cheated’. It printed more and more and more money, and paid its debts with this newly printed money. The effect of printing more and more money, at a time when the German economy stayed the same size (well, actually, it started to shrink) was inflationary. Prices for everything increased – not due so much to changes in the supply of the goods, but rather due to ‘too much money’ being available. Consider, for example, postage stamps. There was no shortage of stamps at the post offices, but the cost to mail a letter went from less than 1 Deutschmark to millions of Deutschmarks. In other words, the same thing applies to money as to the things it can buy. The more money in the society/economy, the less each unit of money is worth. The less money there is, the more each unit of money is worth. Now to consider a derivative issue. If the supply of a product increases, but at the same time, the amount of money in the economy increases too, then the two effects will more or less balance each other out. Which brings us to a more complete understanding of how inflation occurs in a society or economy : Overall inflation goes up or down depending on the relationship between the supply of money and the supply of things to purchase with the money. Inflation can be increased or decreased by selectively adjusting the supply or either money or things to buy with it, or by adjusting both. Will a Level 2/3 Situation Create Inflation or Deflation? Now that you understand the underlying factors that impact on inflation, you can start to work this out for yourself. The most impactful event in a Level 2/3 situation will be the shortage of things. The most essential things will be in terribly short supply – things such as food and energy. 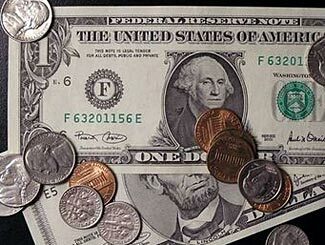 There may also be a shortage of ‘money’ – we use quotes in this case, because maybe regular cash – dollar bills and coins as we know them today – will become useless. People might have great wealth on paper, but in terms of actual negotiable currency, what value is money in a bank if the bank has disappeared? In this case, the availability or shortage of money is probably of less importance than the shortage of life’s essentials – food and energy. When you’re faced with starvation, you’ll pay any amount to buy food. When you’re shivering cold and desperate for some heat, you’ll pay any amount for energy. The shortage of essential goods will unavoidably create inflation, although this inflation may be due to measure in traditional terms, due to a failure of the traditional money supply. We’ve said this before, but it is worth repeating. Having spare money will be close to useless in a EOTWAWKI (Level 2/3) situation. Having spare food, spare energy, and spare trading good will all be invaluable. You are best advised to plan and prepare by building up supplies of ‘things’ rather than a supply of money. The purchasing power of money will collapse in a Level 2/3 situation due to inflation, whereas the trade value of ‘things’ will skyrocket. Four Star General Keith Alexander is the Nation’s Top Cyber-Warrior. The conflict is growing [and] the probability for crisis is mounting. Not only does Gen Alexander see a growing probability for a cyber attack on the US, he also worries that our vulnerability to the effects of such an attack is growing more severe, too. Our point is simply this. We’ve been commenting, repeatedly, about our nation’s vulnerability to cyber attack. 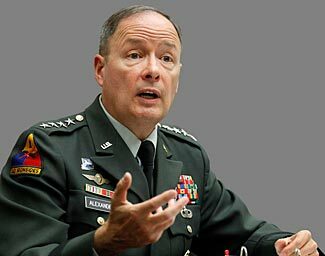 General Alexander – a full four star general – is probably the person best placed to understand the scope and extent of our known vulnerabilities (note the emphasis on the word ‘known’ – our biggest fear is from unknown and unexpected vulnerabilities that none of us have even thought of yet) and he agrees with us. We, as preppers, aren’t Chicken Little type doomsdayers, obsessed with nameless fears about things that will never happen. Quite the opposite – in every respect, our concerns are shared by mainstream thought leaders. The only difference between us as preppers, and most other people, is that we not only recognize the vulnerabilities in our society, but we also choose to respond pro-actively to them, to safeguard our future survival. A look inside a metal ‘Faraday Cage’ storeroom designed to reduce the effects of an EMP attack on the equipment stored inside it. Perhaps the most terrifying threat to the US from other nations is that posed by an EMP attack. In an earlier article we explained how an EMP attack could destroy all the electronics in the US, literally sending us back almost to the stone age, in a fraction of a second. There is no effective defense against an EMP attack; there’s nothing we can do in our homes to protect against the effects of an EMP detonation, a thousand or more miles away. It may be possible to stockpile spare electronics, stored in special Faraday Cage type containers, so as to reduce the damaging effects of an EMP on the devices stored inside, but pretty much any electronics that are not stored that way, whether they are switched on or not at the time, are vulnerable and liable to be destroyed by an EMP. Note that Faraday cages are not perfect barriers to EMP radiation. They should be thought of as something like soundproofing – soundproofing panels quieten outside noises, but loud sounds can still be heard, and very loud sounds can still be bothersome. 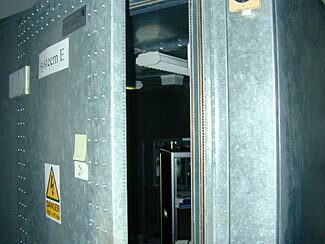 It is the same with Faraday cages, and ‘best practice’ seems to suggest having nested Faraday cages, one inside the other (inside the other), which is analogous to having multiple layers of soundproofing panels. As we said in our earlier article, the devastating impact of an EMP attack, and the near impossibility of protecting against it, surely make this a very attractive weapon, particularly for countries much smaller than the US – countries which have no chance of winning any type of conventional war against us. We’ve no idea who would win and who would lose (probably both nations would lose) if we ended up in a high intensity conflict against Russia or China, and surely a nuclear war against these powers would guarantee that all combatants would suffer appalling losses. On the other hand, we are certain we would prevail if in a conventional war with, for example, India or Pakistan or Iran or North Korea. So what should a country that wishes us ill, or who simply wishes to have a credible threat to use as a bargaining chip at the negotiating table, do? These small countries have no ability to create the economic and personnel elements of a credible conventional threat, but perhaps they can instead spend a relatively small amount of money to create an EMP type weapon that instantly gives the country that developed it an equality of force with us. Indeed, the EMP device probably gives other countries the upper hand. Iran or North Korea, for example, have predominantly low tech and low energy based economies. The sudden loss of electronics and electricity would not be as damaging for such countries as it would be for the United States. Sure, it would be harmful, but it wouldn’t be associated with the complete destruction of society that such an attack would have on the US. So, is it any surprise then to read, in this article, that North Korea is believed to be developing EMP weapons – indeed, the article refers to a new type of super-EMP bomb. This is an EMP device designed to get past the usual ‘limit’ of EMP field intensity which is typically caused when the atmosphere gets saturated with EMP related particles. A super-EMP bomb might potentially have two to five times greater impact than a regular one, meaning that so-called ‘hardened’ devices which can resist certain moderate EMF strengths from regular EMP bombs may also be destroyed, and devices stored in Faraday cages may also be damaged or destroyed, too. A super-EMP bomb does not necessarily have any more range, just greater power within its existing range, but seeing as how a single EMP bomb is almost sufficient, in itself, to take out the entire US, range is not so much an issue. Talking about range, that points to one error in the article. The article talks about North Korea potentially using an EMP device against South Korea. Unless it were to be a conventionally powered device with weak limited range and directional output, this is very unlikely, because a nuclear powered EMP device would almost certainly destroy all of North Korea’s electronics too. An EMP weapon, while perhaps not much use against South Korea, definitely would be transformational in terms of North Korea’s ability to ‘punch above its weight’ on the world stage. Rogue states or terrorists armed with a single nuclear weapon detonated at high-altitude over the United States could cause a protracted blackout nationwide, that would last months or years and might even be unrecoverable. Note that Bill Gertz’ columns in the Washington Times are generally considered to be very authoritative, and often represent unofficial statements from senior US military officials who wish to leak information. Our internet connection is an essential resource and information tool. Any retreat location we select must – in some form – support internet access. It seems a contradiction in terms, doesn’t it – living ‘off the grid’ but still wishing to be connected to the biggest grid of them all – the internet. But, contradiction or not, for many of us an internet connection is close to essential, and is the best way of keeping in touch with the rest of the world – for business, for personal, and for security reasons. The problem comes when we find ourselves choosing a retreat location that has no internet service routed to it. Note that your interest in the internet probably relates primarily to prior to WTSHTF. There is little chance the internet will continue in full operation (or even in partial operation) after a major social disruption. We discuss the reasons why the internet will almost surely fail after TSHTF here. There are five main options for you to consider when seeking internet connectivity at a location that doesn’t have ‘normal’ cable or DSL type internet already routed to the property. Of course, the first thing to do is to confirm that there is absolutely zero internet currently available. Some areas have internet provided by the utility company, as well as by phone companies and cable companies. If you truly are scoring zero for current connectivity options, find out from the cable and phone companies how close they get to your property. Then see how many neighbors you have, both close at hand and between you and the current end of the internet service – maybe you can all group together to bring some pressure to bear, and possibly even share in some of the costs of getting internet deployed closer to you. If none of this is feasible, then it becomes time to consider your various other ways of connecting to the internet. Some of these are relatively trivial, and not all will be practical for everyone, but we include them all for the sake of completeness. It is years since we’ve last used a dial-up connection to access the internet, and frankly we hope we’ll never need to again. The internet has become so bandwidth intensive that dial-up really struggles to provide any sort of connectivity at all. Even ‘ordinary’ email can now consume huge chunks of data due to the propensity of people to email not just short unformatted text messages, but rich text emails with huge attached images and video clips, too. At probably 4 – 5 minutes per megabyte of data downloaded, dial-up speeds are slow, slow, slow. With a maximum speed of 56 kbps and typical speeds appreciably lower (mid 30s – mid 40s perhaps), plus (as best we recall) moderately slow latency, dial-up is probably the least desirable means of connecting to the internet these days. But if you have landline phone service, it probably can be pressed into service for dial-up connectivity if all else fails. There was a time when a T1 data line was the ‘gold standard’ – it was something we all dreamed of, but couldn’t afford, and frankly, it was so unimaginably fast that we didn’t need that much bandwidth either. These days, a T1 seems slow – it offers bidirectional data flow at 1.536 Mbps, albeit happily with very short/fast latency. Typical alternate forms of broadband internet connection are much faster, and are available at trivially inconsequential low prices. A T1 circuit typically involves using regular phone lines. So if you have phone service to your retreat, and if there are spare cable pairs, you should check to see how much a T1 loop would cost. It might be expensive, but it might be something you can justify, particularly if sharing the connection with some other families too (but not too many, because it is, after all, only 1.536 Mbps!). If you have cell phone service at your retreat, and if it provides 3G or 4G connectivity, then you could use this as your internet access path. If the signal strength is weak or marginal, you could add a repeater and external antenna which would massively improve the quality of the signal (and probably the internet connection speed as a result). We have used products from Wilson Electronics in the past and with good results. You can retransmit the wireless data service as a local Wi-Fi hotspot to allow other devices in addition to your mobile phone to access and share the data, although some wireless service providers may charge extra if you do this (and, yes, these days they are able to know if you are sharing your data service between multiple devices, so you probably can’t do it unofficially). Data rates vary, depending on how many other people are also using the same tower’s data capacity at the same time, and in our experience are never anywhere close to the promised potential maximum data rates the wireless companies claim of their services. But you can probably expect 500kbps – 1 Mbps, and moderately slow latency. This is an option that was once both popular and practical, but as internet bandwidth needs increased, it became less popular and less practical. However, the latest generation of satellites have impressive bandwidth capabilities (especially the new Wild Blue satellite), and for some people, satellite based internet has become a viable choice again. As far as we can tell, there are three primary satellite services in the US, although many other companies repackage and rebrand service from these three and sell the service under their own brand name instead. This desire by companies to act as though they have their own satellites, even though all they are doing is repackaging and rebranding someone else’s satellite service, makes it hard to know who you are dealing with, and if you are reviewing satellite data services, you should be sure to ask them if they use their own satellites or, if not, which satellites they do use. Note that all three services have limits on the amount of data you can download (either per day or per month) and all three are quoting ‘theoretical maximum’ data rates rather than guaranteed rates. Actually, just about every service quotes theoretical maximums rather than guaranteed rates, but the difference is sometimes more relevant with satellite service. The other significant thing about satellite service is you have very long latency, due to the 45,000 mile ‘bounce’ that signals have to travel from your retreat to the satellite and then back to the earth – this unavoidably adds another quarter second of latency for every data exchange. If you are downloading a complicated webpage with maybe ten ‘dependencies’ on it – ie, things that wait for other things to download before they are then downloaded, that can present as another 2.5 seconds or more of waiting time for the page to display. You need to have a clear view of the southern sky to be able to point your antenna at wherever the satellite is located, and the further north you get, the lower the line of sight to the satellite, making you more and more sensitive to obstructions that might block or interfere with your signal. We’ve also heard that weather can sometimes create issues with satellite service – rain and snow in particular seem capable of weakening the signal strength. HughesNet is well established and well regarded, offering download speeds of up to 2 Mbps. Wild Blue/Excede launched a new satellite in October 2011 which has massively increased their bandwidth capabilities. Depending on your location, you might get up to 5 Mbps or, if lucky, up to 12 Mbps speed on downloads. Starband/Spacenet is the third, and offers packages similar to Hughes. The good news is that for about $100/month, you’ve got ‘the next best thing’ to regular fast cable/fiber/DSL type internet access. Here’s an interesting option – we saved the best for last. If a neighbor has fast internet access, and if you have line of sight between your residence and his (well, a few trees inbetween are probably okay, but no hills/mountains blocking) then you could probably set up a directional Wi-Fi repeater service and piggy-back off his internet connection. Although you probably think of Wi-Fi as something that sometimes even struggles to go from one end of your house to the other, and which at best reaches from one or two neighbors over and to your place, and while it is true that the official design and specification for Wi-Fi anticipates it as a short-range service (to reduce congestion), it is possible to use more powerful Wi-Fi transmitters combined with extremely directional and sensitive antennas to send and receive Wi-Fi over astonishingly long distances – at least ten miles, and according to this website, as far as 125 miles. The type of connection speed you’d experience in such a case is probably limited primarily by the speed of the internet connection your neighbor has, with a bit of extra latency added. If you are fortunate to be able to establish a line of sight contact with a cooperative neighbor who in turn gets good fast internet at his residence, this would likely be your best solution, and it is well worth offering to generously compensate your neighbor for a share of his internet service. Living off the grid is a great concept, but it is a very different thing to be disconnected from services such as power and water than it is to be disconnected from the news and information flow that the internet offers. While your plan for the future should assume the internet will fail during a Level 2/3 event, you definitely need to have internet access at your retreat to keep you in the essential information and communication loop which the internet these days is, both prior to any possible future failure and of course subsequent to its eventual restoration again, too. Will the Internet Survive a Level 2/3 Event? This diagram shows a segment of the interconnections that make up the internet. We rely on the internet for so much these days. Some aspects of the internet will almost surely cease to be functional in a major societal breakdown that creates a Level 2/3 event – for example, it is very unlikely that Amazon will continue to offer free two-day delivery to its Prime members of anything they might wish to order. 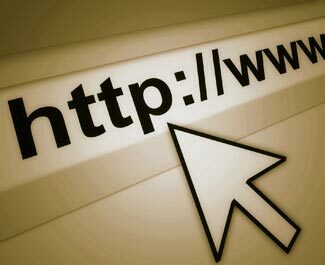 But what about the most basic aspects of the internet – web browsing and email. And maybe some extra features too, such as Skype or other voice/video/chat type services? Will they still be available? Will there still be Google? Will the internet stay unharmed, will it degrade ‘gracefully’, or will it disappear entirely. There are three key components to the internet, and it is helpful to quickly consider the impact of a Level 2/3 event on each of these three components, to better understand what will happen to the internet. These three components are simply the computers that are connected together, the physical wiring between the computers, and the hubs or nodes that piece it all together. 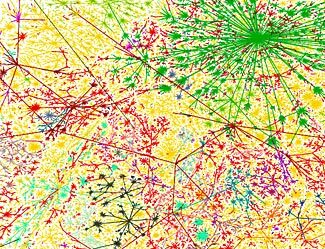 The good news about the internet is that – in theory – it is a ‘fault tolerant’ method of connecting multiple computers together. If one switch or one physical route fails, the internet can intelligently and automatically switch traffic over different paths. It is a bit like being at the north end of the Los Angeles area, and wanting to get down to the south end. Sure, you could drive I-5, or I-405, but you also have at least half a dozen other major routes, a dozen minor routes, and if you start going over surface streets, thousands of even slower lesser routes to take. A multi-lane blockage on one freeway merely causes traffic to redirect and switch to alternate paths through the city. You might not realize this, but when you type a website address into your browser at present, the connection between your computer and the website’s computer probably passes through a dozen different hubs and nodes as it snakes its way through the internet cloud. If you’re interested, you can see this by opening a DOS/Command window and typing in the command TRACERT and then the name of a website. You’ll then get a series of lines of information showing the path of your connection through the internet to the website you wish to visit. So, in theory, the internet could continue to exist even with the loss of a significant number of key data lines and switching hubs/nodes. Interestingly, even some of the websites that you might visit don’t actually end up being served from a single physical computer somewhere, Larger websites are remotely distributed and mirrored and cached, so even the loss of some actual physical computers might not have a great deal of significance to most overall functionality. In theory, the internet is very fault tolerant. But there are two vulnerabilities shared by most or all of the internet. The first vulnerability is to EMP effects. 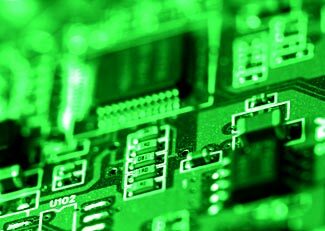 An EMP attack could destroy the electronics in much/most/all of the internet’s computers and switches. However, and happily, this vulnerability applies only to the specific circumstance of an EMP attack. Unfortunately, the second vulnerability applies to all types of Level 2/3 scenarios. The internet consumes an enormous amount of power. This article says that in 2006, US data centers alone consumed 61 billion kWhr of electricity; which represents one sixth of the entire power consumed by the UK. Although computers continue to provide more computer power for less energy consumption, we will guess that the internet power usage must have increased in the six years since that time. Keep in mind also that the power estimated in the preceding paragraph relates only to data centers. It doesn’t include all the other components of the internet spread all around the country (and world). The article also says that Google consumes 3.9 million kWhr of electricity, itself, every month. It isn’t clear if that is also a 2006 figure or a more recent one, but if we simply accept it as it is, we can still see a very clear future reality. If Google wished to remain operational after a Level 2/3 scenario, it would obviously continue to require this amount of electricity every month. It seems reasonable to assume that electricity will be in short supply, and that it will go up in cost significantly. At the same time, the way Google makes money to pay for these costs – through the advertising on its search results – will drop off drastically, because e-commerce will be massively curtailed. So Google will see its income drop to a very small fraction of normal levels, while its energy costs – assuming the electricity can even be bought to start with – will go up maybe ten-fold, maybe more. It is true that Google is getting some windpower for some of its server farms, but the law of supply and demand means that electricity, no matter where and how it is generated, will become extremely valuable. Google’s profitability today in large part is based on being able to process its ‘raw materials’ – ie electricity – into something much more valuable (ie advertising revenue). When advertising revenue drops, and when electricity goes up in price, Google would become better advised to sell the electricity locally to other electricity consumers. Even though Google, today, is very profitable, if it were to lose three-quarters of its advertising revenue and at the same time, have its energy costs increase ten-fold, it would run out of money very quickly indeed. It could not survive as a going concern. It isn’t just Google that would have to close down. A similar calculation applies to most other internet businesses. And what about the infrastructure companies that provide the data services to all the internet connected companies? Their energy costs will increase too (assuming they too can even manage to get any electricity) and the underlying concept of the (almost) free internet will be destroyed. We could apply a similar analysis to every other part of the internet, but you probably get the picture already. The shortage of, and/or massively increased cost of, electricity will destroy the economic model that the internet currently relies upon. We predict that the internet will quickly degrade in a Level 2/3 situation, because the people who have to pay for the electricity won’t be able to afford it. The electricity cost/availability challenge is the ultimate problem that will upset the internet. It will apply with equal force to your local internet access provider as it will to national internet services like Google. Even if you and a friend both keep your computers running and connected to your internet modems, the internet connection between the two computers and the ‘behind the scenes’ services necessary for that connection will no longer be maintained. So, in case the answer isn’t obvious – the internet will quickly fade away as a Level 2/3 event unfolds. You can not rely upon anything that requires the internet to be operational as part of your response to such events. In the last four years, Mexican drug cartels have established a presence in over 1,000 US cities, in almost every one of our lower 48 states. We wrote, a couple of days ago, about the threat posed to post-collapse retreats and communities by organized gangs. There are over 1.4 million members of organized gangs in the US at present, a number which is growing at an alarming rate. But our ‘own’ gangs are not the only threat we must anticipate. Although it is difficult to know where ‘our’ gangs end and ‘foreign’ gangs start, this article reports on the spread of Mexican drug cartels into almost every part of the United States. Over 1,000 US cities reported Mexican cartel presence in 2010. The cartels are not only ‘doing business’ in the US, they are also setting up massive marijuana growing operations too – primarily in California, Oregon and Washington. We spoke about an uneasy truce between gangs and law enforcement in our earlier article. But the Mexican cartels don’t understand the concept of truces. Some 50,000 people (that we know of – who knows how many more have never been reported) have been killed in the last six years by gang warfare in Mexico. If they can’t bribe or bully them, the gangs don’t hesitate to shoot it out with police and other national law enforcement agencies, and if politicians or journalists start to make public complaints, they get assassinated. Mexicans are dying in Mexico from this unofficial civil war at a greater rate than Americans were dying in Vietnam. We lost about 55,000 soldiers in the most active ten years of the Vietnam war, compared to more than 50,000 Mexican deaths in six years. Another comparison – in Iraq, the US lost about 4,400 personnel over about an eight year period. Mexico has lost more than eleven times as many people, in only six years. The US has not been without casualties either in this ostensibly Mexican war. But most of our casualties are in the form of new addicts, their lives destroyed, and the social costs of these addicts – either in treatment programs and/or as the addicts steal to support their habits. These days two-thirds of the cocaine and 70% of the methamphetamine comes into the US via the Mexican cartels. These cartels won’t just go away in a Level 2/3 situation. They’ll merely adapt and adopt to the changed circumstance, and alter the type of misery they trade in and the violence and ruin they leave in their wake. Meanwhile, our federal government pretends that all illegal traffic between Mexico and the US is good, and is exclusively in the form of honest hardworking Mexicans desperate to build a better life for themselves in the US while conforming to all our country’s rules and social conventions – oh, apart from being illegal immigrants, not learning English, not paying taxes, not having car insurance, and so on. And if a state should find itself with no choice but to try to enforce some of the immigration laws already on our statute books, the federal government refuses to cooperate and sues them in federal court. Maybe the federal court rulings are correct when they say that controlling immigration is primarily a federal government responsibility, but has anyone joined the dots the rest of the way in this picture and asked what should be done when the federal government refuses to honor the responsibilities and obligations it has previously enacted and claimed for itself? Never mind a ‘war’ on illegal immigration. Our federal government can’t even use its self-proclaimed ‘war on drugs’ as a reason to crack down on the spread of illegal cartels throughout our heartland. One wonders how much of a problem gangs would be if every illegal immigrant was booted out of the country, and no more allowed in. It seems to us their membership would collapse from 1.4 million down to a massively lower number. Opinion surveys show an overwhelming majority of Americans support tighter border and immigration controls. But the Washington elites continue to do completely the opposite. Is this the way democracy is supposed to work? There is a temptation to think of the outcome of a Level 2/3 event as creating a disorderly and disorganized mob or rabble of people, aimlessly fleeing cities, while dysfunctionally and desperately seeking food any way possible. Superficially, such concepts don’t imply great danger or risk to us. While this projection may be true, it is not the complete picture. The collapse of law and order will remove the constraints on organized gangs – large groups of people who are neither disorderly nor disorganized. They will aggressively act to fill the ‘power’ gap caused by the collapse of normal government, social and policing structures, and will have both the means and motivation to ruthlessly dominate their chosen territories. You better make sure you have a Spanish/English dictionary in your retreat. The chances are that when the armed gang that attacks you arrives, they’ll be speaking Spanish. Computerized device controllers are commonly connected to the internet, and with very inadequate security protections. It isn’t just us who are warning about computer vulnerabilities. Now the Department of Homeland Security is getting in on the act too. On Friday it warned that more than 11 million computerized device controllers around the world are vulnerable to cyber-attack by hackers. These units control all manner of different things, from elevators to medical equipment, from security systems to other ‘sensitive operations’ at DoD facilities. The common point of vulnerability they all share is a type of remote access/control system called the Niagara Framework. This is a sophisticated type of universal access software that has over 4 million lines of code within it, and is used by devices in over 52 countries. With so much sophistication, it is unsurprising that there may be some overlooked subtle bugs and vulnerabilities. It isn’t just a case of ‘may be some bugs/vulnerabilities’. It is a case of ‘yes, there definitely are known bugs and vulnerabilities’. Indeed, some of the known vulnerabilities were discovered over a year ago, and remain still vulnerable now. Note in this earlier article the myopic view – attacks on Niagara connected devices were thought to be unlikely because it was thought hackers would not be interested in such devices, and a large part of the ‘security’ was simply making the devices ‘hard to find’ – a nonsense claim as you’ll appreciate when you understand about software that seeks out all known types of internet connected devices, such as we explain and discuss here. (Ironic note – when we wrote that article, barely a week ago, we were headlining the presence of 40,000 known vulnerable systems around the world – it seems that a week later, we need to increase that count from 40,000 to 11+ million!). That concept of ‘security’ has been shown to be nonsense – one researcher managed to, single-handedly, discover thousands of Niagara connected devices on the internet. And a couple of amateur ‘good guy’ hackers, also working on their own, have managed to uncover 25 serious different vulnerabilities that exist on network attached controllers. After a day or so of research, it took them five minutes to be able to find a way to download details of all the usernames and passwords for any given Niagara connected system. The people who assure us of the security of the systems they design and sell have many times been shown to be making such claims based on ridiculous approaches to security. It is like they lock the front door, then hide the key under the door mat, on the basis that ‘no-one is likely to visit your house, and if they did, well, they’d never think of looking under the doormat for the key’. This is a dismaying insight into how the people we trust to protect the systems we both trust and rely upon in so many aspects of our regular lives, actually define ‘security’. Unfortunately, as has been proven many times, people who seek to unlawfully access and exploit computer systems are massively more creative than the people we have charged with protecting and securing the systems. The internet potentially allows anyone, anywhere, to access 11+ million different devices that apparently have somewhere between weak and no security at all protecting them from being taken over by unauthorized users. What would happen if a coordinated cyber-attack simultaneously took over all 11+ million devices, and instructed them to misbehave? Or, in a more subtle manner, what would happen if attackers took over the control systems for some of the DoD security monitoring systems, so as to gain physical access to installations that might well contain our own stockpiles of ‘weapons of mass destruction’ in some form or another. The darker the color, the greater the density of gang members in the state. Source – FBI 2011 National Gang Threat Assessment. You know about gangs from the movies, television, and sometimes from the newspapers, right? You probably understand them to be disaffected lawless groups of underclass urban youth, often from ethnic minorities, and while a problem for sure in the inner cities, not something you’re likely to encounter, either hopefully in your normal daily lives, or – and more to the point – if you ever need to bug out to the safety of your rural retreat. Many people also assume that because street gangs are lawless and disruptive, and because they deal in and use drugs, and because they seem to be made up of high school dropouts rather than honor roll students, they are anarchistic in nature, uncoordinated, and poorly managed. Their tendency to kill each other is viewed as further proof of their irrelevancy outside of the narrow geographic areas they can be found in, and outside of the drugs trade they seem to be such a part of. Unfortunately, while some of the preceding two paragraphs is indeed correct, the most important parts are totally wrong. Gangs are not a geographically confined phenomenon affecting only their fellow members of the criminal classes. 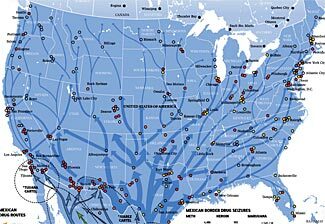 They have already infiltrated all parts of the US – rural and urban – and are engaged in all types of criminal activity, from ‘white collar’ crimes such as identity theft and mortgage fraud to more traditional activities such as drugs, prostitution and general violent crime. Gangs members are also more numerous than you might think and steadily increasing in number. In 2010 it was estimated there were at least 1.4 million gang members in the US (up from a 2008/2009 estimate of 1 million). In four states (CA ID UT and NM) the gang members outnumber the police by more than six to one, in another seven states there are 4 – 6 gang members for every law enforcement official (NV WA MT ND NE IA MS). As these numbers hint at, gangs are moving out of the cities and into the rural states and regions. 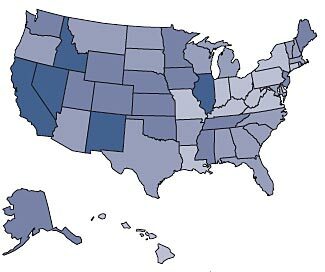 States with more than four gang members per 1,000 of population in general are CA, NV, ID, NM, IL (all with 6+ per thousand) and AK, WA, UT, WY, CO, NE, KS, OK, MN, IA, MS, TN, NJ and ME (all with 4 – 6 gang members per thousand). This is illustrated on the map at the top of this article. While some neighborhood gangs remain informal and amorphous casual groupings of people with little interest in anything outside their own territory, most gangs are very different. These days gangs can be multi-national organizations comprising sometimes tens of thousands of members, and involved in international trade just like many large corporations, albeit of illegal rather than regular goods. They have hierarchies of leadership, they form alliances with each other, and generally act – in some respects – rationally and in a coordinated manner. Rather than being made up of aimless drifters and high school dropouts, some gangs even provide scholarships for selected members to go to college to learn regular business skills which can subsequently be applied to benefit the gang. Other gang members are recruited out of the military, while some gang members remain active in the reserves, so the gangs have the benefit of the finest weapons and training that Uncle Sam can provide. Gangs also have the latest in military grade weapons, both legal and illegal, and not only do they have higher powered weapons and munitions, they also have the training in how to use them effectively and a complete lack of moral restraint or care of consequences for when it comes to choosing to use them. They’re not just ‘gang bangers’ with ‘Saturday Night Special’ cheap revolvers stuck down the fronts of their trousers. Some of them are highly trained and battle hardened weapons experts who have fought in our various foreign wars, and who now are training their fellow gang members in the same combat skills, and with the same equipment – weapons, night optics, protective clothing, and field medical care – as they became proficient with in the armed services. Gang members also actively seek to join police departments and other government organizations – and often succeed in doing so. Because of this, some gangs have as good or better intelligence about what the police are doing than what the police have about the gang members – it is difficult with some ethnic groupings to get police informers into gangs, and with our strange obsession about treating illegal aliens as a special privileged class of criminal these days, the determination, particularly at national levels, to give illegal aliens a ‘free ride’ and to look the other way whenever accidentally encountering one has also helped gangs preserve their own ‘opsec’. Needless to say, significant numbers of gang members are illegal aliens – oh yes, and they’re also actively involved in bringing more illegal aliens into the country as well. Those gangs that haven’t infiltrated members into local law enforcement might still be able to pretend to be law officers. Gangs regularly target police vehicles to steal weapons, bullet proof vests, and police ID. While gangs are happily involved in most traditional forms of crime, they haven’t restricted themselves to only crimes of violence. They have opportunistically spread into just about every form of illegal endeavor. Gangs even make use of mortgage banking and identity fraud the same as the best of white-collar criminals. And while gang members like to flash recognition signs at each other, and to wear particular colors and styles of clothing, that’s not the only way they communicate. They also use high-tech methods of communication for command and control purposes, including encrypted voice communications, computer to computer links, and throw-away cell phones. Gangs also use public internet communities as a means of recruiting new gang members, with specific individuals tasked with formal recruiting duties. Gangs aren’t growing in size as a result of randomness – they are actively – and successfully – recruiting new members, much more successfully than your local church or community group. Gangs have already spread across the country. They’re not exclusively an inner city/big city problem. They’re increasingly setting up in rural communities. The crime you’re seeking to escape from, by moving to a small township somewhere, may have already moved there ahead of you. Unfortunately, the spread of migrant agricultural workers from Mexico and other Central/South American countries into agri-business states has also had them bring their gangs with them. And our willingness to welcome refugees has also seen us welcome refugee gangsters as well as refugees, whether they be from Somalia or Russia or anyplace else. There’s a related consideration to keep in mind as well. You may not recognize gang members when you see them. Sure, some gang members are obvious, but not all gang members fit the classic profiles. In addition to youthful hispanics and blacks, middle-aged white men are gang members too, and as you surely know, we as preppers are often painted with too broad a brush, confusing us with ‘white supremacists’ and ‘neo-nazis’ and ‘fundamentalists’. While we of course don’t like this blurring of the lines between ordinary law-abiding folk such as ourselves who simply wish to prudently prepare for possible future breakdowns in society, and extremists who wish to contribute to the breakdown in society, there is an uncomfortable element in this confusion. Sometimes it can be difficult for us to distinguish between fellow law-abiding and prepping ‘good folks’ and other people who while also prepping for an adverse future are most definitely not good folks. This may be part of the reason why Idaho is shown as having so many gang members. We’re not sure if all the so-called gang members in ID are truly gang members, or if perhaps they are merely ‘counter-cultural’ types that in the last few years the Department of Justice has been distressingly eager to categorize as either domestic terrorists or gang members. But, whatever and whoever these folks are, it is always prudent to keep in mind that the person next to you in the store who is also buying up bulk supplies of long life food, cases of ammo, or whatever else, may not necessarily share all the same values as yourself, and may not for sure be the sort of person you’d want to invite into your retreat, either in good times or bad. Who is Winning the War Against Gangs? Is there even a ‘war against gangs’, and if there is, do we have any reason to believe it is any less a colossal failure than our war against drugs? While some elements of local gangs are indeed made up of the dregs of society doing their best to eliminate themselves from the gene pool, there’s precious little evidence that even against such dysfunctional adversaries our law enforcement bodies are winning the upper hand. No matter how many task forces and initiatives and community groups are formed, and no matter how much money is thrown at the issue, these least threatening types of gangs still seem to be thriving. The upper elements of regional, national and international gangs are calculating, intelligent and very formidable opponents, and they are definitely growing in numbers and distribution. As evidence of that is the ongoing growth and spread of their gangs. The FBI/National Gang Intelligence Center issued a National Gang Threat Assessment document in 2009 (you can read it here) in which they estimated there were about one million gang members in the US. A new National Gang Threat Assessment document was published in 2011 (you can read it here) in which the estimate had grown to 1.4 million. The FBI say, to partially explain and excuse this apparent 40% leap in gang membership in a mere two years, that the reason for the growth in their estimate is in part due to better intelligence in 2011. But that’s not reassuring at any level – if the FBI couldn’t estimate gang numbers to within 40% of the real count in 2009, what else were they overlooking then, and what else are they still overlooking now? They didn’t say, in their 2009 report ‘this number might be off by 40%’; how are we to know that the 1.4 million count now is any more accurate? There is a lot of information about gangs on the internet of course, and while the two FBI reports are more authoritative than many other sources, they have to be read in context with the FBI’s own constraints and framing agenda. Does it suit the FBI, in cases where a judgment call could be made, to be alarmist or to be calming in how they interpret the incomplete and raw data they receive? If you want to know more, we suggest you should do a fairly open-minded and broad review of the published literature, and most of all, make sure you accept it free of the constraints of normal civilized behavior. Many of these gangs live a life and interact with normal people in a way that truly is (or could be) your worst nightmare, and unfortunately, it is in the rural communities these days where they are often most dominant. At least in the inner cities, a confrontation between gang members and police can see tens if not hundreds of police rush to the location in only a few minutes, backed up by SWAT teams, helicopters, and all sorts of other formidable resources. But what about in a lightly populated county, where there might only be half a dozen sheriff’s deputies on duty at a given time, and half of them are 50+ miles away from the other half? This is distressingly a common circumstance in some areas these days – where one or two policemen realize that reinforcements are at least 30 minutes away and potentially an hour or more away, and even if the reinforcements all turn up magically in just a few minutes, they’ll still be outnumbered ten to one by the gang members they are confronting. We know, from discussions with law enforcement officers and third parties, about counties where the police are massively outnumbered by gang members and where the gangs have pretty much taken over the county. Normal residents have either moved out or been forced to adjust their lives to accept the impact and presence of the gangs around them. The police will still happily give us, as ordinary law-abiding folks who support our local police and accept the rule of law, a ticket for doing 33 mph in a 30 mph zone, but if you’re a gang member, they’ll develop sudden selective blindness. The police are used to ordinary criminals mouthing off when they are arrested, making all sorts of wild threats about what they will do when they get free, variously to the police officers and their families. They also know that 99.9% of the time, these threats are empty and without any meaning. But if the police overstep the bounds of the uneasy informal truces with their local gangs, they know that the threats are very real. This creates for an uneasy sort of truce between the police and the gangs, with the gangs in the ascendancy. Who is winning the war against gangs? Isn’t it obvious? The war is over, ended before it even started. The gangs have won. We headed this article with the claim that gangs are possibly your biggest security threat. Hopefully the article has opened your eyes to how and why this can be so. Gangs are everywhere, including quite possibly in the towns and countryside close to your retreat. In other words, they’re already dangerously close to you. Gangs have many members, and are affiliated with potentially tens of thousands of fellow gang members in other branches of the gang. In other words, they outnumber you, maybe by ten to one, maybe by one hundred to one. Gangs have well-developed military competencies, and the weapons to match. In other words, expect to be confronted by battle hardened combatants armed with heavy caliber automatic weapons. Gangs have no moral restraints acting on them. They break the law with relative impunity now, and in a crisis seeing a collapse of society and its normal values, they’ll be even freer in their actions then. In other words, what’s yours risks becoming theirs. On the other hand, they’ll not be fazed by the thought of a ‘lose-lose’ situation. Particularly in a Level 2/3 event, they’ll have no shortage of people wishing to join their gang, and if they have to sacrifice 50 or 100 new recruits as part of an operation to eliminate you and your retreat, they’ll probably happily do so. The likely impact of gangs on you and your retreat underscores, yet again, the essential need for you to be part of a medium or larger sized community, whether it be a Code Green community, one you create yourselves, or any other similar sort of arrangement. If it is just you against 50 gang members, you know how that story will end. But if it is 50 (or 100) of you against 50 gang members, you have a better range of endings to work towards. Our national grid relies on 2100 of these mammoth – and in many respects, irreplaceable – transformers. We regularly worry in our articles about a failure of our nation’s electricity grid – the criss-crossing network of power lines that connect the various power generating facilities around the country with the various power consuming facilities – most particularly, the major switching substations that route the highest voltage connections around the country. Think of the power grid a bit like a transportation network. We have super-highways, regular freeways, highways, arterials, surface roads, minor roads, cul-de-sacs and so on. For example, to drive from home to work, you first leave your driveway, maybe go down a residential street, then to a more heavily trafficked street, then to a major arterial, then onto a freeway, then through an interchange and onto another freeway, then off, via various surface streets, and ending up in the parking garage underneath your office. It is the same thing with the movement of power across the country. Power originates in a generating station, then travels to a switching station where it then joins a ‘super highway’; it travels across the country, and perhaps goes through some interchanges as it changes ‘freeways’, then starts to feed down through surface streets and their intersections, until ending up coming in to your own household. The key points of vulnerability to the power network are not the thousands of miles of power line. It is the ‘interchanges’ – the switching stations. The power is useless and meaningless in the power lines – it only has value if it can pass through all the ‘interchanges’ and ‘intersections’ and complete its journey at your light switch and light. Unlike our national interstate system (and also unlike the internet), there aren’t a huge number of different routes power can travel to the people who need it. And not every different path is fully compatible with every other different path. There are 2100 major high voltage transformers (consider them as freeway interchanges) and in total, the nation’s power grid is operated not by a single authority or even by a coalition of half a dozen major players (as is the case with the internet, for example) but instead by an assortment of some 5,000 different entities, most of whom are competing with each other. Furthermore, these 2,100 transformers aren’t all the same and interchangeable. An industry rule of thumb says that for every 13 transformers, you’ll encounter ten different designs. Unsurprisingly, all these different pieces fit together somewhat clumsily. For example, this article talks some more about the vulnerability of the power grid to solar storms. A retail chain, some years ago, had a famous and very successful slogan – ‘It is the putting right that counts’. The key concern, with our power grid vulnerability, really is not so much the vulnerability itself (although that is of course a concern too) but rather ‘the putting right’ – restoring electrical service to the nation if/when it is disrupted. If power can be restored in a matter of hours, then it is hardly life changing. But if a grid failure could lead to many years without any power at all, then clearly it becomes a matter of highest national strategic importance. Unfortunately, for anything other than very minor disruptions, restoring the grid becomes a huge and lengthy problem. The main reason for this? The US no longer makes high voltage transformers itself. These days, if we want a new high voltage transformer, we have to order it from an Asian (ie Chinese) manufacturer and wait for it to be built then shipped to us. Due to their size and weight, they can’t be airfreighted. A new transformer can weigh up to 200 tons, and they are too large to be trucked to their ultimate destination – they have to travel on special flat-bed rail wagons (and these rail wagons are in short supply, too). The need to ship by rail adds another dimension to the problem of replacing transformers – as our nation’s rail network shrinks and shrivels, many places that formerly had rail lines leading directly to them have lost their track, leaving different remaining distances for the transformers to somehow be transported from the nearest railhead to the switching power station where it is needed. Because transformers normally last for about 50 years, and because in much of the developed world, there’s only modest ongoing growth in power consumption, there’s not a lot of manufacturing capacity. 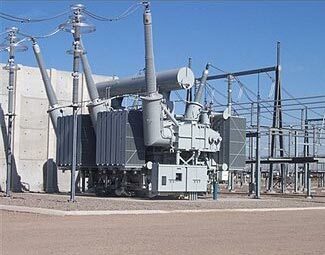 Only 2% of transformers need to be replaced each year, and usually these replacements are planned well in advance. Most power companies and most manufacturers don’t keep an inventory of spare transformers – a problem made worse by the lack of standardization of transformers. It is generally accepted that a new order for a transformer will take around 3 years for it to be made and shipped. If there was a rush on transformer replacements (eg after a solar storm damaged many) then the first 2% of transformers could be made in 3 years, the next 2% would have to wait another year, and so on and so on. It could take as much as a decade to replace a major series of transformer failures. And this decade guesstimate assumes that the Chinese manufacturers dedicate all their capacity to our country’s needs, and also assumes they urgently expand their production capabilities. Can we really rely on other countries such as China – countries that don’t necessarily have our best interests closely at heart and inseparably aligned with ours – to help us when we’re at our most vulnerable? This article details some more about transformer issues. Maybe you’ve had a power outage yourself – perhaps after a windstorm, or perhaps due to some inexplicable thing that you never really were told exactly what it was. Maybe it was just for a few minutes, maybe it was for a week or longer, and maybe the outage was limited to only a half dozen houses, or maybe it extended over a half dozen states. Outages are nothing new, indeed, on average, half a million power customers have some type of outage every day. But – and here’s the catch. These outages are very different to the ones we are considering. They are typically due to power poles being blown over, or trees falling on the power lines, or, at worst, a very minor substation transformer blowing. Fixing these outages simply requires a crew to re-run the power lines, or to truck in another transformer, and maybe to shift some loads in some parts of the grid. These outages – even when extending over several states – are not due to one, or ten, or a hundred or more of the 2,100 major super-transformers failing, and so are easy to respond to and resolve. But if we do lose a number of the super-transformers all in close succession, we have nothing to replace them with. We can’t restore power until we get new super-transformers, some years later. In addition to the random acts of the sun’s solar storms, we also have to consider more directed attacks on our power grid – manmade attacks. The easiest way to disrupt the power grid is of course simply to physically blow up transformers. With only 2,100 key transformers in total, and only a small percentage of those needing to be disabled to impact on many millions of people, and little or no effective security protecting the super-transformers, it is far from unthinkable that terrorists might attempt a low-tech old-fashioned bombing campaign to destroy a region’s power network. But that is, indeed, a low-tech and old-fashioned approach, and not without difficulty and risk to the terrorists. A much easier approach is to hack into the control systems – the computers that control the operation of the transformers and the flow of power across the network. While some commentators say ‘it is not possible to do this’ and promise us that the control computers are secure, they are, alas, talking nonsense. It serves their purposes to downplay the extent of the risk and the vulnerabilities that are already being exploited, but when you can get people to talk more frankly, for example as reported in this Wall St Journal article, the truth is scary. Not only are our power control computer networks vulnerable, but they have already been hacked into and compromised. This is unsurprising. It seems there is no computer on the planet which is not now connected to the internet, and if we and the Israelis can hack into Iran’s nuclear research and development computers and take them over, causing the computers to run amok and destroy the centrifuges they are controlling, surely other nations can do the same to us. We’re not the only nation with precocious teenage hackers by any means. Although the April 2009 Wall St Journal article we linked to immediately above reported – as all such articles do – on how steps are being taken to improve the security of the power grid, here’s a December 2011 article in the Christian Science Monitor headlined ‘Power Grid grows more vulnerable to attack’. The article quotes an MIT study which suggests that the electrical utilities are creating new vulnerabilities faster than they are patching old ones. The good news is the cost of improving the grid’s cyber-security is low – about $4 billion. The bad news – the utilities feel that the possibility of being attacked is too low to worry about, and not worth spending $4 billion to protect against. The MIT report disagrees and views cyber-attacks on the grid as inevitable. It isn’t a case of if, it is a case of when. An interesting related thought – the Wall St Journal article mentioned that some of the cyber-attacks have come from China. What happens if the Chinese destroy our transformers, then refuse to sell us replacement ones? We explain what EMP type attacks are, here. In the specific context of power grids, they have two vulnerabilities in the event of an EMP attack. The first is the E1 pulse, which could destroy many or all of the control computers that manage the electricity grid. If the controlling computers go down, so too does the grid. The second vulnerability is the E3 component, which would be received through the power lines acting as gigantic antennas, and then directed into the transformers and destroying them. As we discuss in the next section, our grid has become more vulnerable to solar storms; and the mechanism which creates a vulnerability from solar storms is identical to the E3 component effects of an EMP. How Severe a Problem Are the Grid’s Vulnerabilities? Opinions differ as to the extent of the vulnerabilities that relate to our power grid. At one extreme are reports such as this article in Time, which says ‘because we’ve never had a total disruption before, there’s no danger of one in the future’. That’s brilliant logic, isn’t it, and sadly consistent with much of the non-prepper mindset. The article goes on to say ‘Don’t worry, all essential services have backup power supplies’. We don’t find that very reassuring. Just a week ago, Amazon’s web services had a power related outage. What happened to their backup power supplies? We’ve no idea, but we do know that Amazon’s terms of service specifically exempt them from liability in the case of power supply failure. We also know that the state of the art ultra-sophisticated super-hardened colocation facility where our primary webserver is located has also suffered power failures in the past too, even though they have more in the way of backup systems and redundancies than any two normal computing centers would have. We wonder further what happens when the backup diesel generators run out of diesel. If there’s a regional outage of power, there’ll be no diesel being refined, shipped, or pumped. And, anyway, while it might be a reassuring thought, to some people, that hospitals and internet services can survive for a month or two, what about us? There’s no backup power supply for regular consumers. How long can we personally survive, how long can businesses survive, without power? As well as unrealistically optimistic articles like the Time story above, we also have more soberly realistic articles such as this in Scientific American, which talks about how if a solar storm which occurred in 1921, causing only minimal damage then, was to re-occur now, the result would be a loss of 300 of the super-transformers and 130 million people being without power for years. Part of the reason we are more vulnerable to such natural impacts is due to the changing nature of our power grid. We have more and longer runs of power lines now than we did before – in the last 50 years the total length of power line in the country has increased ten-fold, and the average length of each highest capacity line has grown four-fold. This four-fold increase in length makes it a better ‘antenna’ to receive the electro-magnetic interference from the sun, and for this interference to then overload and burn out the transformers. The 2011 Scientific American article also says that NASA now has vital early warning capabilities. We suggest that is an over-optimistic statement – as this article of ours, written a year later in July 2012 points out, NASA and NOAA are still unable to consistently predict and agree upon solar impacts. In other words, even the more realistic articles are still showing themselves as being overly optimistic. The security of our nation’s power grid is a bit like the security of our front door. Hopefully you’ve never had burglars break into your home. And you lock your door. But you know in your heart of hearts that the lock doesn’t really give you true security. A determined burglar will pick the lock or kick the door out of its frame, and be inside in less time than it takes to read this paragraph. And a runaway vehicle that crashes into your front door at 60 mph is going through it, lock or not. That sums up the ‘security’ of our power grid. A determined hacker/terrorist, or a severe natural event, could destroy it in a flash. Much or all of the country could suddenly find itself with no power, and the restoration of power could take 5 – 10 years to complete. We’re not going to guess as to if a grid failure will be due to malicious deliberate attacks by our enemies, or by the awesome natural power of the sun, or through some other random act of chance. But we do view the risk of a catastrophic long-term widespread failure of our power grid as severe, and creating either a long-term Level 2 or possibly even a full Level 3 situation. Your response to such a threat has to involve abandoning the city you probably live in now and moving to a safe and sustainable rural retreat.